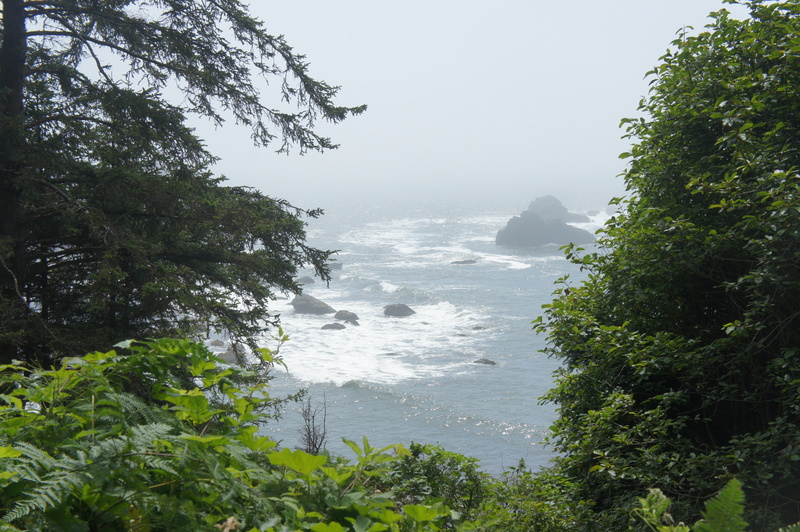 Although sans redwoods, the short Yurok Loop Trail in California’s Redwood National Park features terrific seaside vistas and an ecologically diverse environment along the shores of the Pacific Ocean. Named for the Native American tribe that once predominated in this area, this easy hike explores a dense coastal forest chock full of cypress trees, alders, and ferns, interspersed with occasional hemlocks. 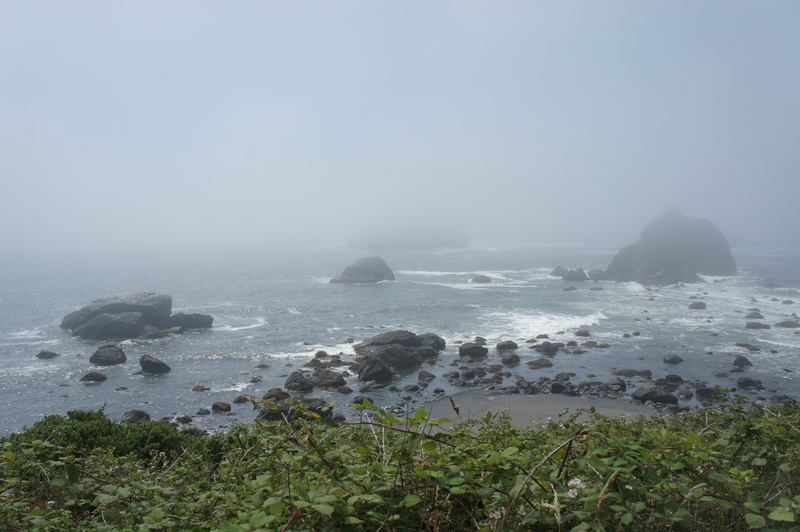 Out at sea, False Klamath Rock rises 209 feet from the choppy waters, though blanketing fog can often obscure it from view. Lagoon Creek, the trailhead for the hike, is a popular picnic area situated between the northern and southern stretches of the park, located just past the “Trees of Mystery” (popular tourist trap) heading north on Highway 101. From the parking area, look for the trail at the end of a cul-de-sac to the north. 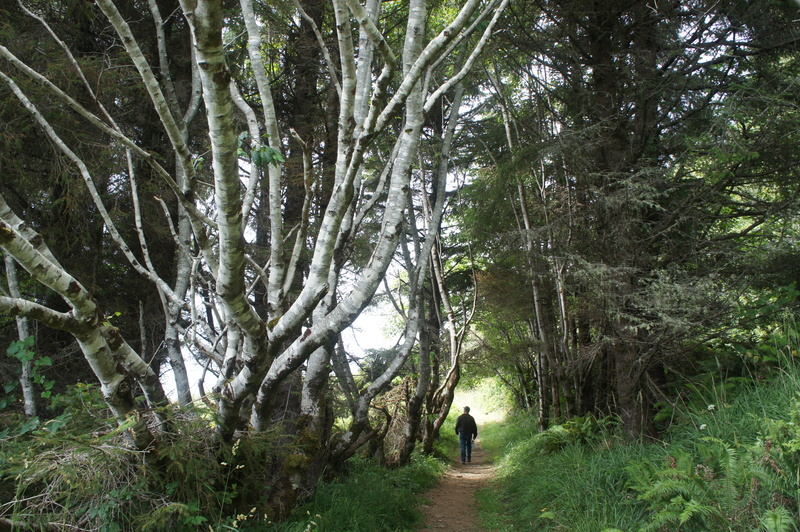 From Lagoon Creek, the trail immediately enters a dense patch of willows, oaks, and alder trees. At around 125 yards, the path splits, with the Coastal Trail bearing off to the right. 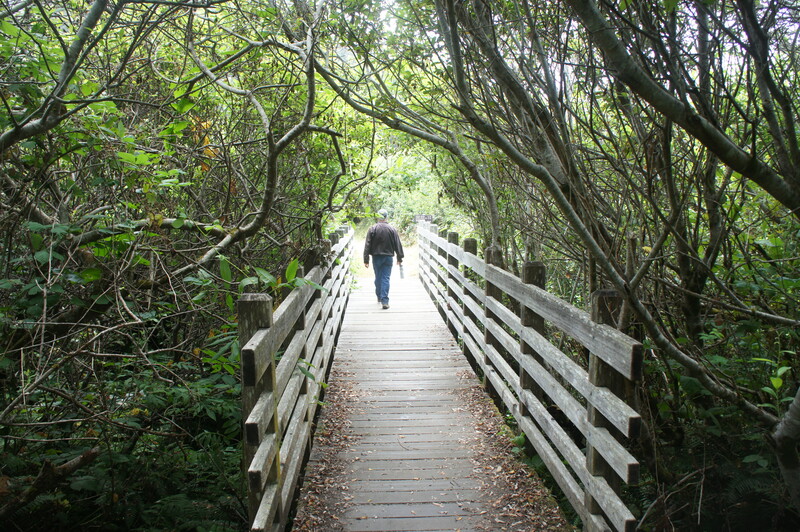 Follow the path to the left, crossing over a short wooden boardwalk. 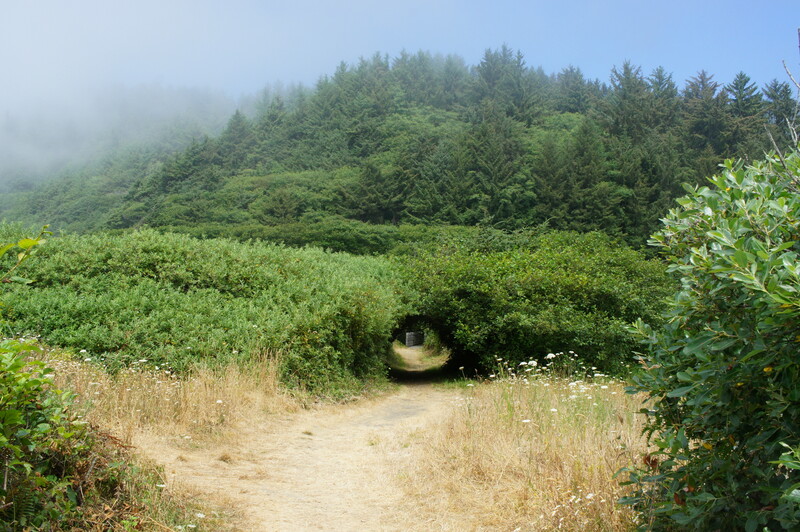 On the other side, the willows give way to coastal scrub, and the path traverses a dark tunnel through the brush. 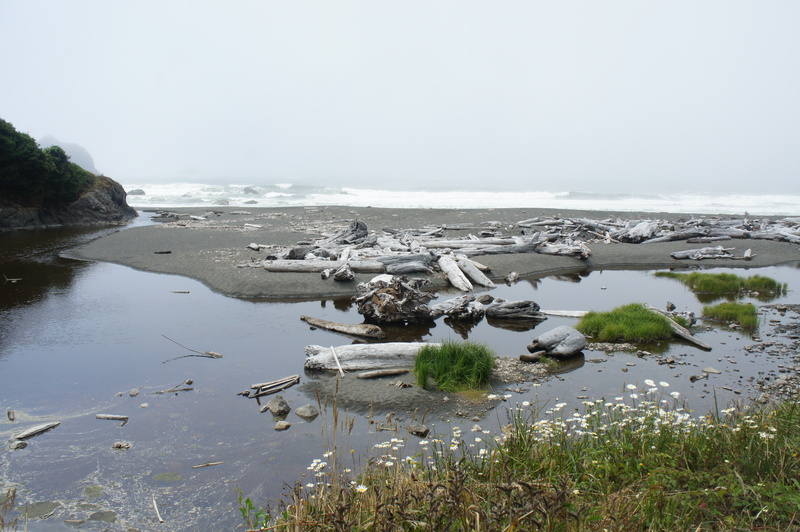 Off to the right, views of Wilson Beach and False Klamath Cove emerge, marked by a cold sandy spit strewn with logs. 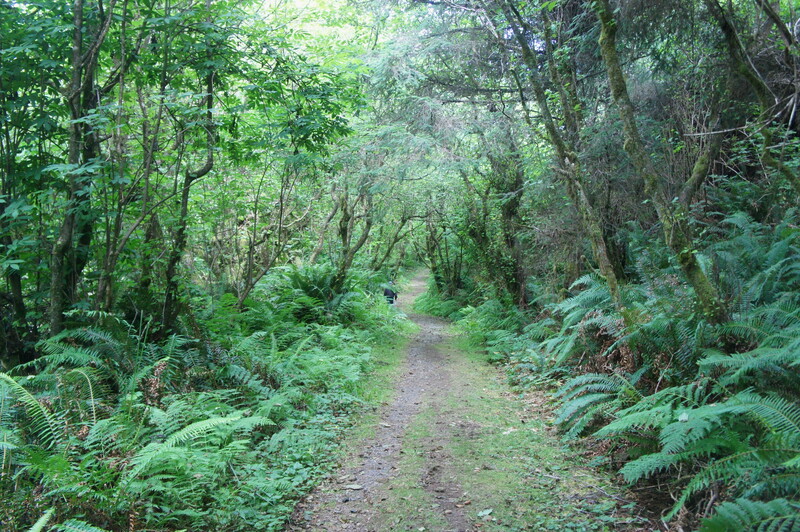 Just beyond, the trail climbs to a second trail fork—this is the start of the Yurok Loop, a 0.8-mile circuit. Bear left first, leaving the finest views for last. From the junction, the narrowing path climbs gradually as the ubiquitous ferns close in. Views of Lagoon Pond to the left are blocked by a dense canopy of coastal alder trees, Sitka spruce, and Douglas firs, key mainstays of Redwood National Park. The moss-covered trees give the forest an alluring and mysterious quality. 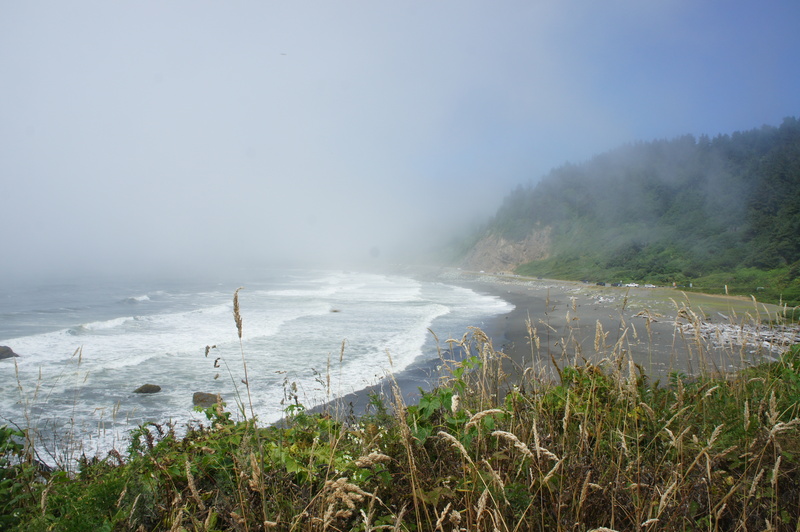 At around 4/10 mile, the Yurok Loop Trail embarks on a sharp uphill, climbing 20-30 feet, followed by a second climb of another 10-20. After a brief dip, the ascent picks up again as the footpath begins to bear southwest. With Western hemlocks and Douglas firs off to the left, the trail mounts a bluff and reaches a junction with a partial view of the ocean. Bear right at the fork (unless you are heading to Hidden Beach, down the Coastal Trail to the left). From here the trail climbs gradually as it hugs the top of the bluffs, weaving in and out of patches of firs, alders, and spruce. A clearing at 7/10 miles offers some limited views of the water. At another overlook 1/10 mile farther, False Klamath Rock—the largest outcrop in the area—comes into view. The best vista arrives at 9/10 mile, just as the trail bends eastward. This grassy promontory looks out over False Klamath Cove, False Klamath Rock, and Wilson Rock, with the Footstep Rocks in the distance to the north. (Note: All this on a clear day, of course; otherwise your view is often limited to foggy beach.) A single bench offers a spot to sit and enjoy the view. Beyond, the trail bears east and hugs the coastline before descending through a tunnel of trees, returning to the start of the loop section at around one mile. Bear left and retrace your steps through the original 0.15-mile stem, passing Wilson Beach and through the willow patch. Bear right at the final fork and return to the Lagoon Creek Picnic Area. This mostly easy hike takes between 30 minutes and an hour, depending on one’s pace. 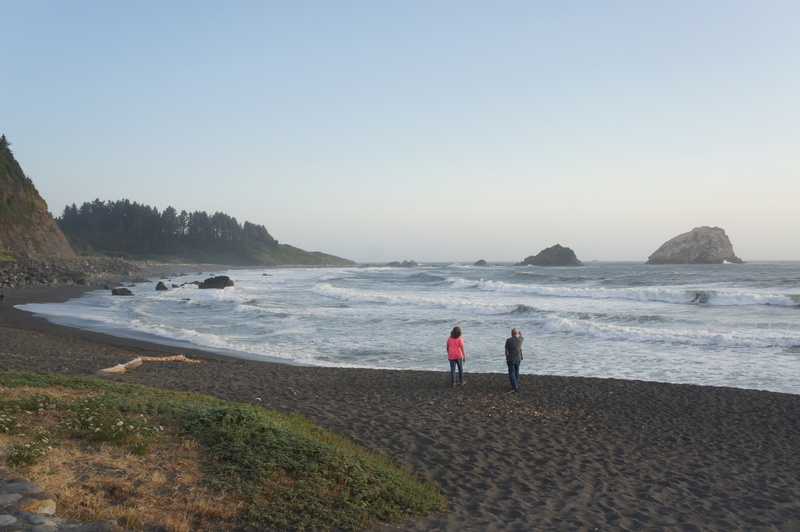 Consider it an opportunity to stretch your legs as you transit between the stunning redwoods of the Prairie Creek area to the south and the enticing groves of Del Norte and Jedediah Smith Redwoods to the north. 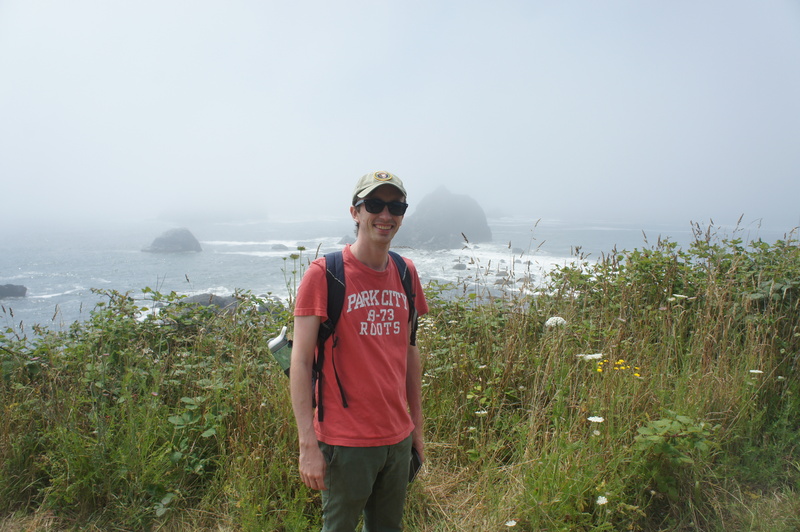 This entry was posted in California, Easy Hikes, Redwood National & State Parks and tagged California, False Klamath Cove, False Klamath Rock, loop hike, Pacific Ocean, Redwood National Park, Wilson Beach, Yurok Loop. Bookmark the permalink.